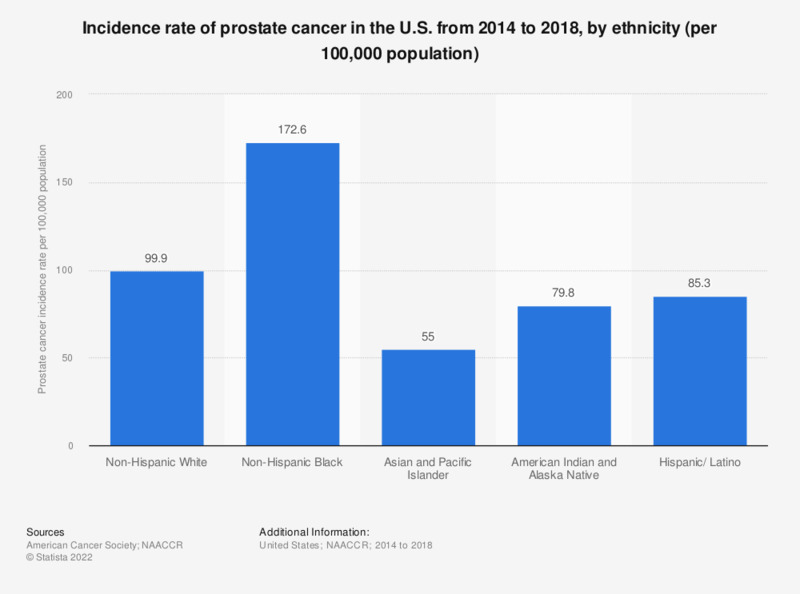 This statistic shows the incidence rate of prostate cancer among U.S. males from 2011 to 2015, by ethnicity, per 100,000 population. During this time, the incidence rate for prostate cancer among Hispanic/Latino Americans was 91.6 per 100,000 population. Rates are age adjusted to the 2000 U.S. standard population.